My internet connection is now up and running again after 3 weeks of temperamental hissy fits ...hurrah! So to celebrate, here is an edifying poem on a perfume theme in honour of National Poetry Day. Welcome, 'Le Flacon" from Fleur du Mals, by Charles Baudelaire. Since my French is very basic I have also included an English translation ... however, it is much more fun to read it with a French accent even if you have no idea what it means! 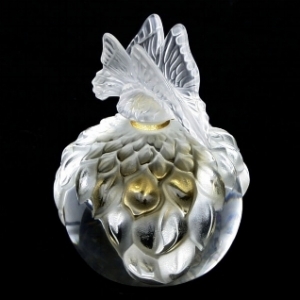 Lalique Perfume Flacon – I want one of these!